I am a major holiday addict, especially if it involves sunshine ☀️🌴 cannot beat feeling good with a fantastic tan! So we don’t sunbathe fully clothed, that means swimwear right?! And if anybody is anything like me you cannot go on holiday without buying at least one new bikini each time you go. It gets kinda expensive when you’re a bit holiday obsessed 🙊 uh oohs! I love this bikini & it was an absolute bargain! £15 for the top & £8 for the bottom. I’m forever having to buy separate pieces as I’m very different sizes, this usually makes it stupidly expensive. Pleasantly surprised with this one as it has the right amount of support on top & fits lovely on the bottom. Best of both world so. I ordered this bikini set when there was 30% off. 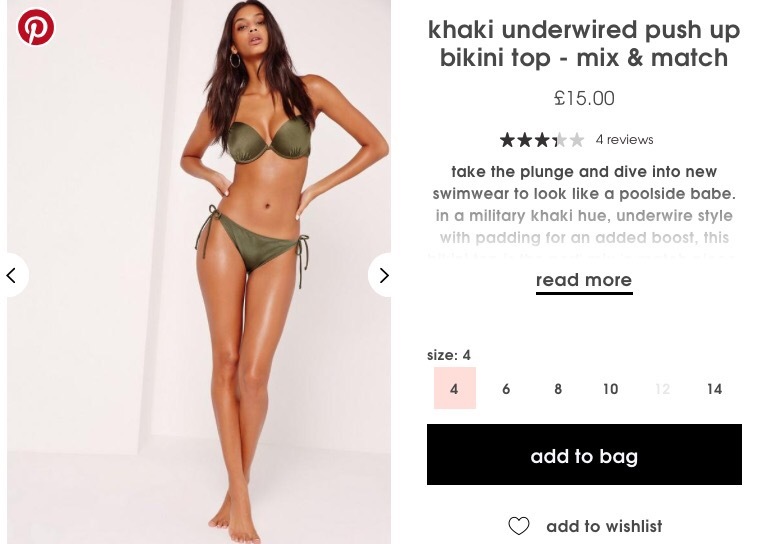 Usually the bikini top is £26 & the bottoms are £14! With the 30% off it didn’t work out to be too expensive. To be honest because they do actual bra sizes I would have probably paid the full price anyway. That colour is gorgeous!